Hello stamper friends. It's Fabulous Fun Friday! My share today is .... In k-1 we called it Show and Tell way back in the eighties. In the nineties it became Share Day. By 2thousand something, we no longer had time for share or show and tell. Oops I digressed. I could go on and on with stories about my teaching days. I'm still digressing. 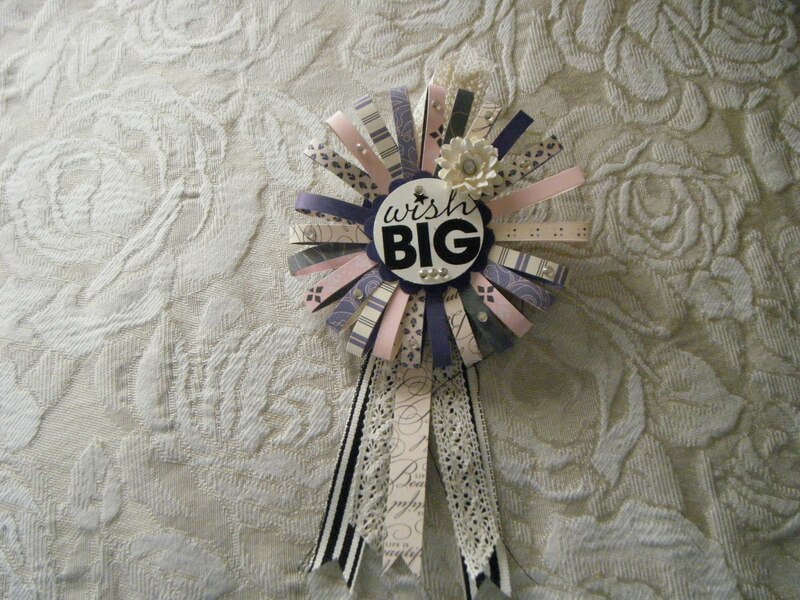 Today I am sharing this wonderful corsage my friend Rose made for me. She said it was easy peasy to make. I'll let you know if it is for me after I try it. It's pretty, huh? My big wish for you is that you have a great week end. See you next week? God bless you . Gorgeous corsage by your friend Rose! So pretty - and I still call it Show and Tell ... lol. This is gorgeous, Rose did an awesome job. I am your newest follower from SC. We don't have time for show and tell in class. I don't miss the bring and brag it became! do love the project you shared here though!